Ok, I totally sound like a pyro. 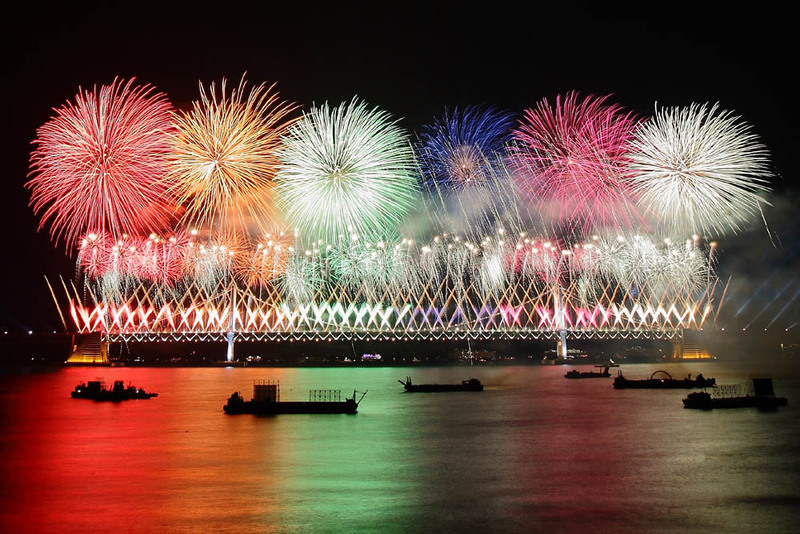 But that’s only because my love for things that go boom has increased quite a bit after attending the Busan International Fireworks Festival a few weeks ago. Seriously, I’ve never seen anything like it. As much as it pains me to say it, America’s 4th of July ain’t got nothin’ on these pyrotecnics. Watch this video that I put together from the 45-minute long display and you’ll see what I mean! Between the location, the ocean view and the 4.5 mile-long suspension bridge that lights up as the backdrop for the event, it really couldn’t have been any better! For more information on the actual event, click here. I HIGHLY recommend it! 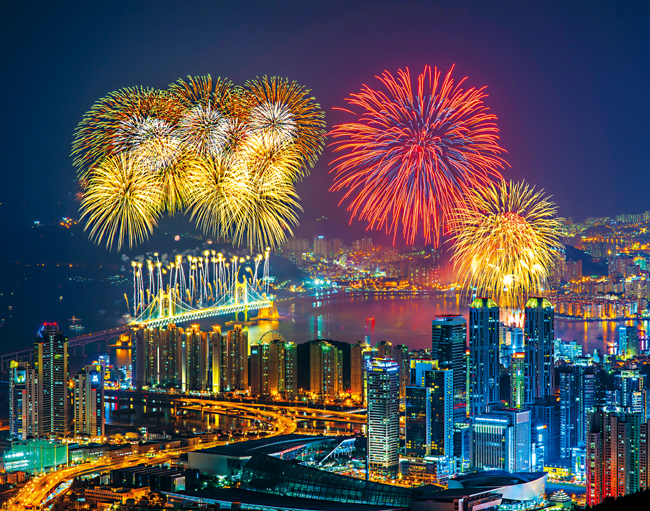 My one piece of advice is to get to Gwangalli Beach (one of two places to see the show) early. The show started at 8 pm and my group arrived in Busan at 6:30. It took us 2 hours by bus due to traffic (it normally takes just under 1 hour), and then another hour of subway-riding and walking to get to the beach. Then we hit the REAL challenge of just getting in! Everywhere we tried, police were blocking off the entrances to the street along the water. Ultimately we had to sneak our way in, along with some pleading and sweet-talking with the guards. So, in the future, get there by 3 or 4 pm and just hang out at one of the many restaurants or claim your spot on the beach! Enjoy!